Hazardous wiring in Hampton? Perished insulation in Petersham? Commercial kitchen earthing in Kew? When buying a property in Richmond, whether it is commercial, buy to let or residential, you will undoubtedly need a survey. But most surveyors are not qualified commercial or residential electricians and can only give an indication of the state of the electrical system in a house, office, hotel etc. In order to find out exactly what needs doing and how urgent the work is, an electrical survey is required. Average house prices in Richmond during 2016/17 ranged from about half a million for flats, about eight-fifty for terraced and a tad over a million for semis. The most expensive area was Petersham and the least expensive, Hanworth. When you are paying this much for a home, you don’t want any nasty surprises when you have moved in – like needing a full or partial rewire. Based on this report, you will be able to obtain estimates for any remedial work to render the system ‘satisfactory’, and can potentially use this as a negotiating point for the selling price negotiations. If you are the seller of a Richmond property, your potential buyers will appreciate such a report. If you already own a home in Richmond, according to the Electrical Safety First organisation, you should have a periodic inspection of your electrical system. This will confirm that your wiring is not overloaded and is properly earthed, as well as finding other potential hazards. It will also find any defective electrical work and deterioration in cabling. They recommend such a survey every 10 years and annually if you have a swimming pool installed. These are required by law in many cases. If you are a landlord in Mortlake, East or North Sheen, Teddington etc, in order to cover yourself, it is worth having a landlords electrical survey carried out by a competent person. You can then ensure that you are not placing your new or existing tenants in danger and that the electrical installation of the property is up to scratch and complies with UK standard BS 7671.
Business owners, local authorities and other managers of public buildings have a duty of care to ensure that visitors and employees are not exposed to undue risks from a poorly maintained electrical system. 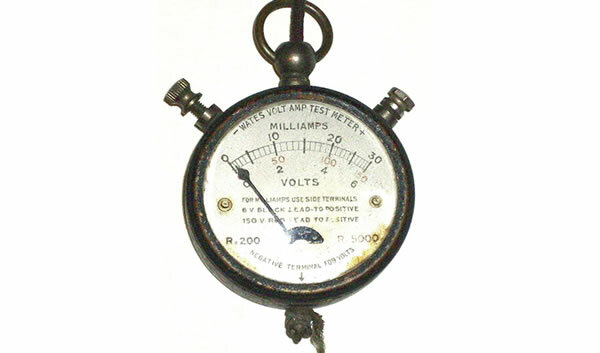 The law sets out the maximum allowable periods between obligatory periodic electrical inspections. If you are based in Hampton, Whitton, Strawberry Hill, Barnes or any other area of Richmond, call South London Electricians on 0208 406 9834 for a free, no-obligation chat about your periodic electrical inspection or home buyers / sellers electrical report . You will speak directly to an electrician and not to a receptionist – so no waiting for messages to be passed on and no chance of messages being forgotten or missed. 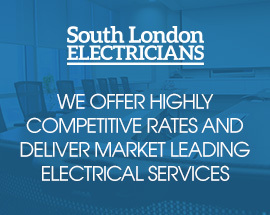 Our team members are fully trained and qualified commercial and domestic electricians covering not only Richmond but also the rest of South London.